A Chinese researcher claims he helped to make the world's first genetically edited babies - twin girls whose DNA he said he altered with a powerful new tool capable of rewriting the very blueprint of life. If true, it would be a huge leap of science and ethics. The researcher, He Jiankui, said he altered embryos during fertility treatments, with one pregnancy resulting thus far. He said his goal was to try to bestow an ability to resist future infection with HIV. He said the parents involved declined to be identified. There is no independent confirmation of Mr He's claim, and it has not been published in a journal. He revealed it to an organiser of an international conference on gene editing, which begins today. "Society will decide what to do next" in terms of allowing such science, Mr He added. Dr Kiran Musunuru, a University of Pennsylvania gene editing expert and editor of a genetics journal, said it was "an experiment on human beings that is not morally or ethically defensible". In recent years, scientists have discovered a way to edit genes. Editing sperm, eggs or embryos is different, as the changes can be inherited. 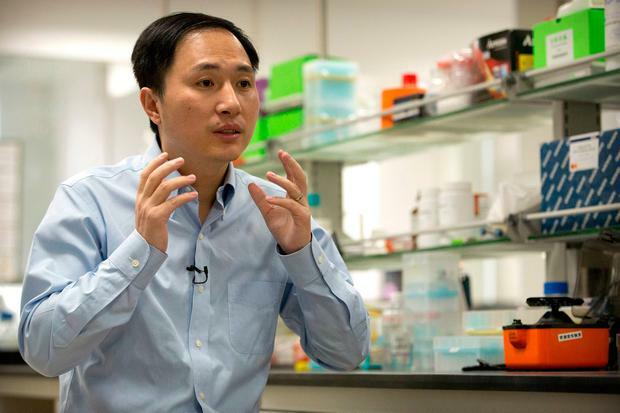 China outlaws human cloning, but not gene editing. Mr He studied at Rice and Stanford universities in the US before returning to open a lab at Southern University of Science and Technology of China in Shenzhen. He sought to disable a gene that forms a protein doorway that allows HIV to enter a cell. Tests suggest one twin, born this month, had both copies of the gene altered and the other had just one altered, he said.